This past fall we partnered with faculty at Wayne State University teaching a Writing and Community course. Over the course of three months, 5-6 students came each week to our volunteer time and helped us with various tasks. They also contributed reflections on their volunteer service or other pieces of writing we could use to communicate our programming to outside sources. It was great having them with us and we look forward to further partnerships with Wayne State. Below you will find reflections from two of the students who volunteered with us this fall. I initially started volunteering at Back Alley Bikes because bikes were something that I knew relatively nothing about. I had always enjoyed riding them but never would have been able to repair one and I was curious to learn. From the first day of volunteering I knew that Back Alley Bikes was not like any other place I had volunteered at previously. There was just a relaxed and comfortable feeling to it. It was almost like I had been there several times before and knew what I was doing. 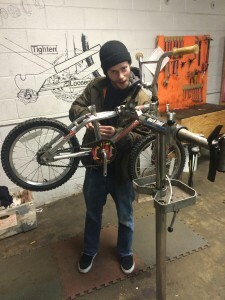 Working with the bikes, building and taking them apart, was a wonderful hands on experience. There was a great deal of independence and freedom, and everyone there was willing to help me learn the correct way of handling things. 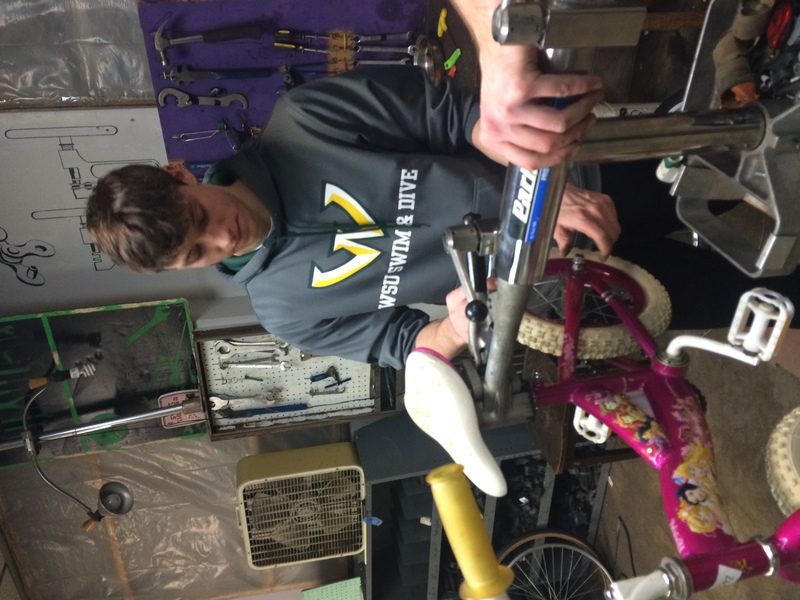 Anyone that wishes to receive a rewarding feeling from knowing that the bike they are building is going to make a child smile when they receive it should consider volunteering at Back Alley Bikes. The wonderful employees will be willing teach anyone that is willing to learn. Part of why I decided to work at Back Alley Bikes was that I found the entire idea of what they stand for to be intriguing. While I did not have it nearly as bad as many children in the city of Detroit, there were many times I had to walk or ride my bike to events because my parents were busy with work or my siblings. 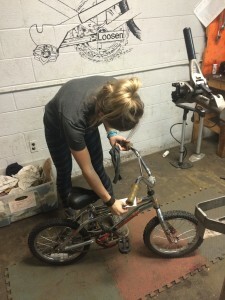 I also thought it would be interesting to learn about how to repair and maintain a bike since I did not have to do much of it growing up, and therefore did not know much about it. Back Alley Bikes was also an option for me as it is within walking distance, and I have no other way to get around than on foot. 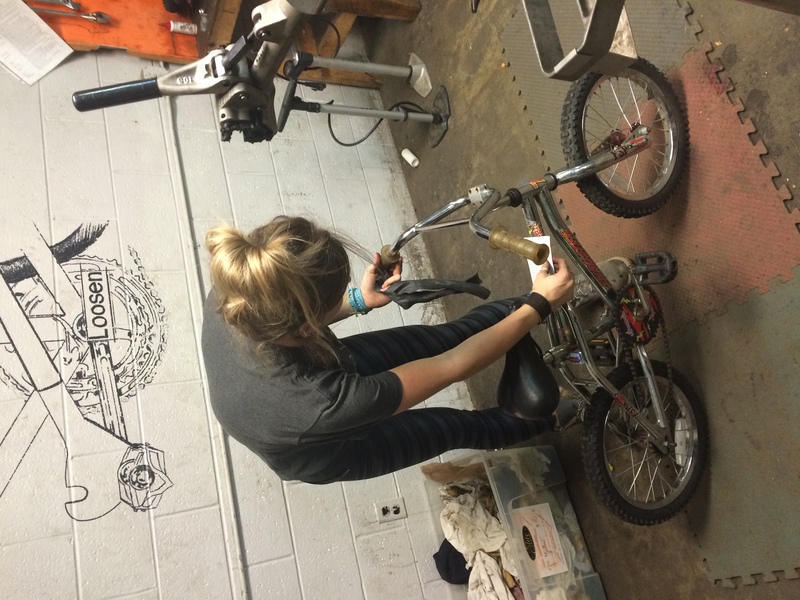 During the time I spent volunteering at Back Alley Bikes, I did manage to learn a lot about how to maintain and repair a bike. Not only that, but I learned about the organizations origins, and more about the overall goal. 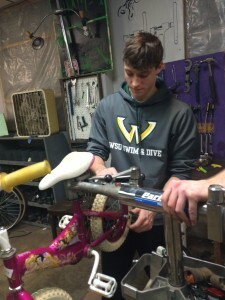 Aside from what most every volunteer learns, my work at Back Alley Bikes also aided me in my research for class. I had not realized that they were the ones maintained the bikes for Wayne State’s bike rental program. I began to see how successful bikes are as a relatively cheap and effective mode of transportation. I do however wish that I had the opportunity to work with children in the earn-a-bike program to see the main goal being achieved. I believe that my time spent working at Back Alley Bikes was worthwhile and beneficial, as I feel it would be for others. 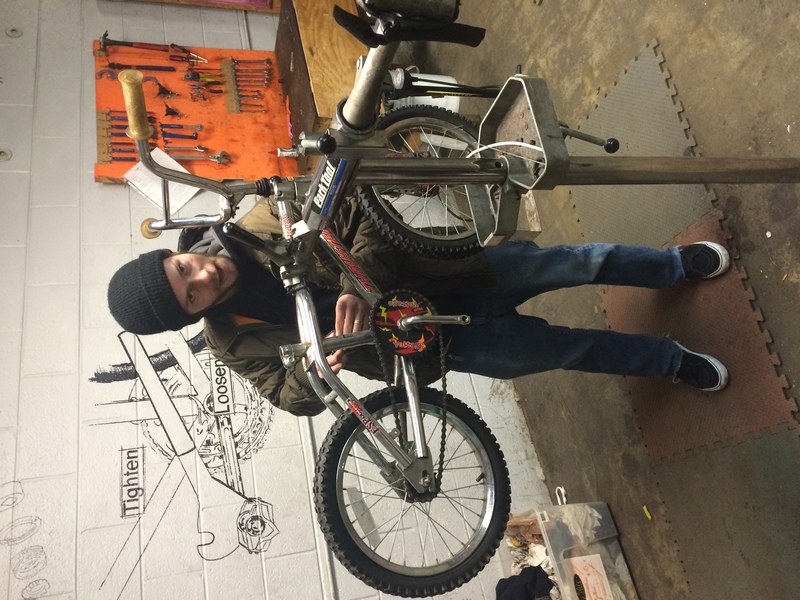 Back Alley Bikes has a very friendly, and helpful staff who truly care about the work they do. I would advise others to volunteer as they will learn the essential mechanics of a bike needed to repair and maintain one, as well as meet some very kind and interesting people along the way.